Maggie: A Girl of the Streets (1893) is Crane's depiction of poverty and solitude, about a young girl from the Bowery. This type of literary realism was deemed risque for the time period, so Crane had to finance its first publication himself in 1893 using the pseudonym "Johnston Smith." 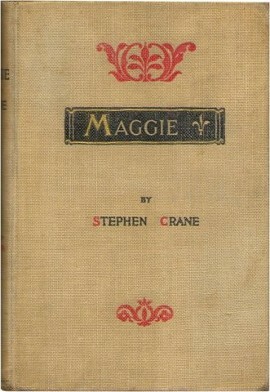 After The Red Badge of Courage 's success, Crane re-worked Maggie and it was published in 1896. Return to the Stephen Crane library.